We start beekeeping with the purchase of our first beehives. 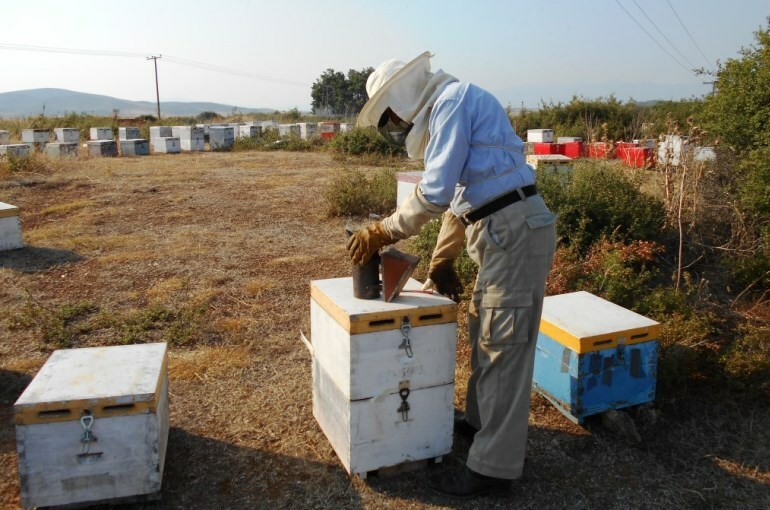 2-4 beehives are enough for the first year, in order to test our strength and commitment. Next year we can double or even multiply our beehives. It is better to buy the hives during the spring, in order to see the entire bee development cycle until the autumn, and to prepare properly for the wintering. We should only buy hives with a valid health certificate from a reputable seller (the specifications and the legal framework vary across countries). We choose healthy beehives with a population of at least 4-5 frames. They must necessarily have brood and a young thriving queen. Queens generally stop laying eggs at a good rate when they reach the third year of their life. Most new beekeepers prefer to start their beekeeping journey by purchasing a “nuc”. A nuc (or nucleus) is a small community of bees, something like a strong colony but at 50% scale. Instead of having 8 or 10 frames, a nucleus colony often includes 4-5 frames, but it also includes brood, pollen, sealed and unsealed honey, enough workers and a young thriving queen, which the workers have well accepted and take orders. It is unlikely that the new beekeeper will manage to harvest honey during the first summer, but he/she can monitor closely the development of nucleus into a full strong colony, something that is highly enlightening and educational. A nuc can cost from 120 to 250$. As far as the beekeeping equipment is concerned, we do not need to spend a lot of money in the first introductory year. On the other hand, when using someone else’s equipment, we run the risk of infection from various diseases. Apart from the beehives, we need appropriate work clothes, special mask and gloves to protect ourselves from stings, a simple scraper, a bee smoker (this is used to calm the bees and may not be allowed in some countries), a brush and a tool kit (hammer, assorted nails, screwdriver, angle screws, knife, pliers, wire, cell clips, cell handles). We will also need a space to do the harvest, storage, maintenance and repair of cells. A small room with good ventilation is all we need, as long as we keep it clean. Finally, we may need wire, pins, an electric knife for removing the bee wax, a burner (disinfects the frames of the hive and floors), and shallow plastic plates to feed the colony. If we are certain that we want to exercise beekeeping professionally, we will need a vehicle for the transportation of beehives (this is required by law for more than 25-30 beehives in many countries). You can enrich this article by leaving a comment or photo of your beekeeping equipment.